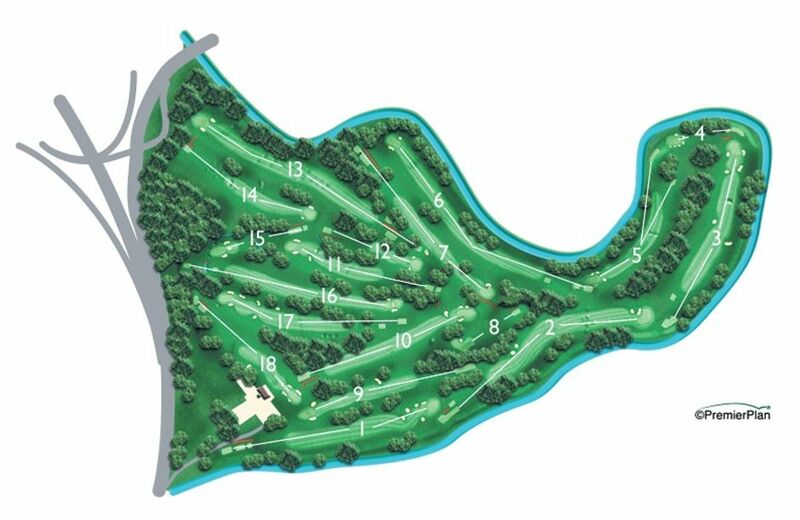 Northenden is an 18-hole, 6460 yard parkland course which celebrated 100 years in 2013. Visitors are afforded a very warm welcome and we are certain you will enjoy our course. Extensive new drainage was installed across the fairways and beneath the greens and the result is a course that, unlike many local clubs, plays all 12 months of the year. Temporary greens are a foreign concept at Northenden. As winter closes in take a look around the other clubs in the Cheshire/Manchester area. You will find temporary tees & greens in play, entire holes closed for weeks or even months, clubs insisting on players carrying mats to play off. Some courses even have to close all 18 holes at various times in the year. Northenden is the course that never sleeps. As the inclement weather sets in we move to mats on the par threes but this is the only concession to Mother Nature. 18 holes, 52 weeks of the year on a course that drains and recovers very quickly. Keep it straight and putt well. That is generally how to master most golf courses but in Northenden’s case it is especially true. Being a well-established park land course there are a lot of trees. It is easy to stray off track and end up in a running argument with the Northenden trees; and in this argument there is only one winner. Keep it straight and keep it on the fairway and you will find the course plays extremely fair. There is not too much need to shape the ball either way and if you keep finding the fairway you will keep giving yourself chances. The greens at Northenden offer a challenge to golfers of all standards. The surfaces are expertly managed to ensure consistency from hole to hole. All greens are firm, fast and true. They are receptive to well struck shots and offer the opportunity to attack the flag at every hole. Getting onto the putting surface is only half the battle though. Our superb USGA greens are a true test of every player’s skills. With a wide variety of shapes & sizes the greens can be set up with some tricky pin positions ensuring that you must think about every approach and always aim for the optimal spot on the green. This golf course requires straight hitting and a sound short game. It is often not enough to simply hit the green, you must think about every approach. Landing too far from the flag can ruin all your good work in getting there as the putts rack up.